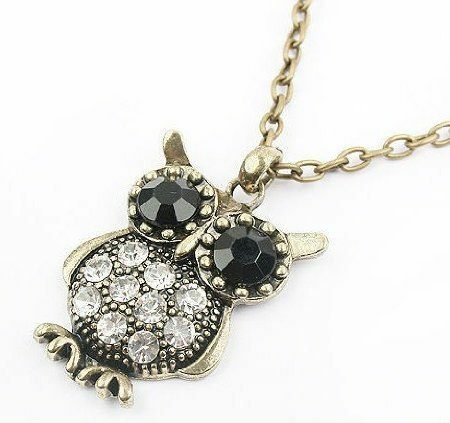 Black And White Owl Gemstone Necklace Just $1.59 Shipped! You are here: Home / Great Deals / Amazon Deals / Black And White Owl Gemstone Necklace Just $1.59 Shipped! Here’s a new owl necklace I haven’t seen before! Get this Black and White Owl Gemstone Necklacefor just $1.59 shipped on Amazon!